My final TOS Homeschool Crew review! This one is for Peterson Directed Handwriting. Unfortunately, when I received these, we were already using two other programs for the Crew that involved handwriting, so I tried to finish up those reviews before diving in to this one. Which means I didn't get as much actual experience with Peterson as I would have liked. Air Writing: the student points at the large model and writes in the air as they chant the action words. The suggestion is to do this in different ways. My kids just love air writing with their elbows! Finger Tracing: Using the pointer finger, the student chants and traces on paper. Write and Say: this is the first point that a pencil is used -- starting on unlined paper, the student chants and writes the letter until they are able to make fairly consistent letters. At that point, he can move to lined paper. The chant for a letter like "b" (in print) is: "Tall down, Roll around." Just so you have an idea as to what I'm talking about when I talk about action words or chants! As I expected, Trina is really still too young for this. She is having fun saying the chant, doing the air writing (she LOVES that part), and finger tracing. But she stresses out when we get to the Write and Say step. So I'm just telling her that she doesn't have to do that part until she either a) wants to, or b) is in kindergarten. When she thinks I'm not watching though, she'll get a dry erase pen and practice on the (unlined) white board, chant and all. I think that is plenty for a 4 year old. Richard is doing great with the kindergarten book, and so far, I haven't felt the need to pull out anything from the first grade level. I figure we'll just work through the K workbook, and then move on to the first grade one. Thomas. Yeah, Thomas. He's finishing up third grade, and the Printing Fluently book seems to be a step ahead of him. In this book, they are working on printing at a slant instead of the straight up and down. He is struggling with that. I think he'll be okay once he sees it a bit more, and as he continues to work with it. Right now, though, he's a bit frustrated. William and Connor (finishing fifth and seventh grades) started with the Cursive book, as they both can print legibly, though more slowly than I'd like. That was not a good fit. They begged to do Printing Fluently with Thomas, so I do have the three of them in that level together. They are not struggling with the slanted printing, though it is new to them. I think it will make transitioning to cursive much easier. Overall, I feel great about Peterson Directed Handwriting. It does take Mom Time as it is not something I can just hand them to do. But just handing them a workbook was not leading to fluency in handwriting. Peterson pushes fluency. Another great part -- the ebooks are quite inexpensive (about $20 each), especially as you can use them for everyone. Their website is chock-full of information, and you can even view the pdf's of their e-books here. At the very least, I highly recommend reading through the website and watching the various demonstrations. Even if you don't decide to purchase their materials, I think it will give you a little something to think about with your handwriting students. Disclaimer: As part of the TOS Homeschool Review Crew, I did receive free products from Peterson Directed Handwriting. The fact that I received complimentary products does not guarantee a favorable review. It does guarantee a review. A fair review. But I am not going to praise something unless I think it deserves the praise. If I don't like it, you'll hear that. And hopefully with enough detail as to why so you can decide for yourself if what I hate about it makes it perfect for your family. For more about my take on reviews, visit my blog post here. I wasn't quite sure what to expect from Shattered by Frank Pastore. I vaguely remembered him pitching for the Twins in 1986 when I was a student at the University of Minnesota. Vaguely. But I really did not know much of anything about his story. One thing I have found, though, is that I like stories about sports heroes -- real sports heroes, not just the famous great players, but ones I want my boys to look up to. So I dug in. I read the first couple of chapters. And starting with chapter 3 ("Fat Kids Can Dream Too") I was hooked, barely putting the book down from that point on. An easygoing style, with lots of great anecdotes -- some happy, many sad, some downright scary -- I found it easy to relate to Frank's story at times. Even when I couldn't relate to the things going on in his life, some of the big questions he had really clicked. He is candid about some of the miserable things he experienced, and about some of the miserable decisions he made. His relationship with his parents wasn't magically cured when he became a Christian... and I really liked that he talked about that. Reading about a family whose lives were totally transformed by their newfound faith was inspiring. Reading that even after that conversion, they still had those "shattered" times was inspiring too. I felt like I was actually reading about a real person who has endured real struggles and real disappointments. Which, of course, I was. Since I wrote the post on the TOS Blog for this product, I'm going to copy some of it verbatim, just to get me started. One of the final companies I get to review this year is Classical Legacy Press, and I'm reviewing their Latin program here. Classical Legacy Press offers products for Latin and Logic, two of the three subjects of the trivium (Rhetoric being the third). 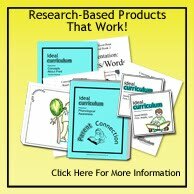 These products include The Great Latin Adventure (Levels 1 and 2), and Logic I: Tools for Thinking. Each level of the program consists of a teacher’s manual and a student book. A pronunciation CD is included. And there is nothing else to buy, except for 3-ring binders to put the loose-leaf books into. Classical Legacy Press has a FAQ page for the Latin program, and many samples available as well. While at their website, you can also check out Logic I: Tools for Thinking and read more about the company and their products. Okay, so now you know the basics of the program. But how did it work in my family? Yikes, that is going to be really difficult to address. Unfortunately, we received this just as life started to get crazy. Our school life goes in cycles... January is a great time to start something new, as is July through September. April is not. So, we really did not get far at all. So based on not getting nearly far enough into this, here is a recap of my experience with it. The customer service has been incredible. That is something I always appreciate with a company. The product comes as three-hole punched pages ready for you to put into a binder. With front, back, and spine pages so that you can recognize your Latin book on the bookshelf. I love when I don't have to pay extra to ship things like three ring binders. I sat down with the teacher book for Level 1, and I was thoroughly impressed by the detail. Katharine Birkett intends this to be used to "further the revival of Christian classical education" and for the product to be usable by parents (and teachers) who did not themselves receive a classical education. What #3 means, though, is that this is not a program you can order a couple of weeks before you plan to start using it. Or at least I couldn't. I think you need to plan for at least a couple weeks to read the introductory materials and the teacher materials for the first two chapters (the first chapter is on pronunciation and its setup is different from the remaining ones). The introductory pages alone are over 30 pages, the teaching notes for chapter 1 are 10 pages, and for chapter 2 there are another 6 pages of teaching notes. The content is "family friendly" meaning specifically that mythology and Roman deities are not included. I go back and forth on my opinions about that. On the one hand, I love that I can work through materials of my choice (D'Aulaires' Greek Myths being my favorite for this age group, followed by Roman Myths by Geraldine McCaughrean). On the other hand, there is something nice about having that scheduled out for me. The program uses Classical pronunciation, and although I prefer Ecclesiastical, I'm going ahead and using the pronunciation given. There isn't enough of a difference for me to get too stressed out about it. If you want to use Ecclesiastical, you could skip chapter 1, and not use the pronunciation CD. Monday: go over vocabulary words, start grammar lesson, start derivative worksheet. Vocabulary includes I love/to love, I shout/to shout, and, I work/to work, not. My kids already knew these words, which makes it even easier. Grammar lesson includes learning first conjugation present tense for amo (my version - I love, you love, he loves, we love, y'all love, they love). Derivatives include a dozen words in eight groups (a group would be collaborate, collaborator), and the student is reading the definitions, and writing out the Latin word and definition. My kids adore the derivative part of the lesson. Yeah, I've got etymology geeks in my family. Wednesday: continue grammar lesson, start study sheet, finish derivative worksheet. For grammar, we worked on the conjugation for porto (I carry). Derivative work involves putting the English words into sentences. Monday: Review a bit, finish first translation worksheet. The translation worksheet has them translating three ways... so cogito can mean I think, I do think, or I am thinking. Friday: start second translation worksheet, study for vocabulary pre-quiz. Translation involves filling in conjugation charts, and the three ways of translating like on Monday. Monday: take vocabulary pre-quiz. Complete second translation worksheet. Translation involves more Latin to English. The quiz does both Latin to English and English to Latin vocabulary, and some work with prefix/suffix definitions. Wednesday: go over second translation worksheet answers, study for chapter quiz. Friday: take chapter quiz. The quiz is two pages, and honestly is longer than my pencil-phobic children can handle. I'm actually having my kids do one page Thursday and one on Friday. The English to Latin chapters also do more work with derivatives. And there are four translation worksheets plus the quiz. Keep in mind that we have used a number of Latin programs. Powerglide, Prima Latina, Latina Christiana I, Minimus, Lively Latin, Getting Started with Latin, Henle, Wheelock, Oerberg... and undoubtedly I have forgotten some. We own all of these, and now Great Latin Adventure. My plan is to continue with Great Latin Adventure for my rising 4th and 6th graders. We may use Lively Latin for the history, mythology and art. But GLA is going to be our primary program. I think the explanations for ME are fantastic. My rising 8th grader is going to work through both Levels 1 and 2 at a very accelerated pace. The introductory materials give suggestions for doing that. The plan is to be doing roughly a chapter per week, unless he gets to a point where he is bogged down. I think he needs a different approach for awhile, and I like the explanations given here. They were announcing the queen's great victories to the inhabitants with loud trumpets. The earth and stars declare the glory of God's wisdom. And the price? I'm impressed. $45 to get the teacher and one student book for Level 1, without binders. Level 2 is the same price. The student book is only $15, so additional students are quite inexpensive. I will be following up with a review in August or so. I will also be reviewing their Logic program in late summer/early fall. Disclaimer: As part of the TOS Homeschool Review Crew, I did receive free products from Classical Legacy Press. The fact that I received complimentary products does not guarantee a favorable review. It does guarantee a review. A fair review. But I am not going to praise something unless I think it deserves the praise. If I don't like it, you'll hear that. And hopefully with enough detail as to why so you can decide for yourself if what I hate about it makes it perfect for your family. For more about my take on reviews, visit my blog post here. 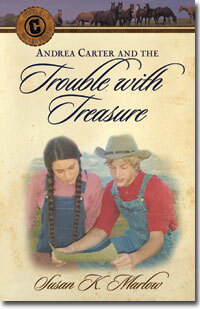 One of the final TOS Homeschool Crew items we received was a delightful book from Kregel Publications: Andrea Carter and the Trouble with Treasure by Susan Marlow. I was a little concerned when we received it -- first, it is the fifth book in a series, and while my boys are very open to reading books where a girl is the main protagonist, they are still boys, and I'm always a bit hesitant. I needn't have worried. First, there were a couple of references to things that (I assume) happened in previous books, but it certainly was not necessary to have read them in order. Second, while the story is all told from Andi's perspective, there are great male characters involved too. Obviously their stories are shown through the lens of a 13 year old girl, but she isn't male-bashing in her thoughts. The story takes place in and around Fresno shortly after the California Gold Rush. Andi has a friend, Jenny, visiting and they are planning a trip into the mountains with Andi's big brother Mitch. Another friend their age, Cory, is coming along as well, and they aim to escape the summer heat and do some gold panning. We enjoyed the book, or at least everyone over age 5 did. Trina, uncharacteristically, chose to go play rather than listen. I think this whole series would make great reading for a tween girl this summer. If I had girls, I would seriously look at purchasing more. For my boys though, well, if I find some at used book sales, I'll probably pick them up. Disclaimer: As part of the TOS Homeschool Review Crew, I did receive this book for free from Kregel Publications. The fact that I received complimentary products does not guarantee a favorable review. It does guarantee a review. A fair review. But I am not going to praise something unless I think it deserves the praise. If I don't like it, you'll hear that. And hopefully with enough detail as to why so you can decide for yourself if what I hate about it makes it perfect for your family. For more about my take on reviews, visit my blog post here. I only have three reviews left to write for the TOS Crew this year! I cannot believe how fast the year has gone. I love all three products, but with as crazy as spring has been, I haven't used them as much as I'd like in order to give a decent review. Thus the hesitation in getting them posted. I'm trying to make some big decisions for next year. Seriously looking at a couple virtual academies for my older two. I'm not sure I can handle the idea of my kids being public school students, I know Dale isn't comfortable with that thought, but we're trying to make a decision that truly is in their best interests. Connor being able to get advanced coursework in math and science sounds wonderful. William being able to get professional help with reading sounds wonderful too. How come the only Saturday in May that I don't have four or five places I'm supposed to be at once is Memorial Day weekend? I'm not complaining. Just wondering. June, by the way, does not look any better. I want a working dishwasher. I'm sick and tired of washing dishes. I know, I'm supposed to go in with a song in my heart, grateful that my family has food to dirty up those dishes, and feel great about how I'm blessing my family by providing clean dinnerware. I'm terribly jealous of those of you who can do that. Instead, I go in, resenting this broken contraption that is supposed to make my life easier, and wishing I wasn't such an ungrateful wretch that I think I deserve a working dishwasher. While I'm being open and honest about my frustrations here, I want a car that works. I hate feeling trapped in my house. I hate feeling like I'm putting everyone's life at risk when we do go anywhere. Did I mention I feel trapped? Wind. Oh. My. It was really going on Monday. You read stories about the pioneer women out here on the prairie going stark raving mad. Days like Monday help me to really, truly identify with them. Especially while I'm washing dishes and moping about the fact that I don't dare to drive my boys to Scouts. The one point where I decided to venture out, the wind ripped the door from my hands and threw me across the yard. It's been bad before, but I've never been thrown around. It took four of us to get the door closed again. Trying to plan out the summer is tough sometimes. I applied for a reading program for William & Thomas, but I haven't heard anything about that. I applied for scholarship funds for swim lessons for all of the kids but I haven't heard about that either. Of course, I did both of those before the van started acting up. So now I'm worried that they'll get in only we won't be able to get them there. Sigh. And I'm just tired. I think I need a nap. Maybe a nap would improve my outlook. What I really need is a homeschool conference. At least I ought to be getting the mp3s from the Schoolhouse Expo this weekend. Oh, and I think I'm going to splurge on a game this weekend. For ME. From Big Fish Games. If you get on their mailing list, they are supposed to be sending a 30% off code good this weekend. That means a bit under $5. I'm thinking about something totally fluffy like Mall-a-palooza. I should do something that is a bit more intellectual, like Brainiversity. Or, really, I should use that $5 for something we actually need. Aren't you glad you came over to read my ventings for today? Of course, Amy is headed off on a road trip today, so I'm not sure how quickly she will be getting back to me. How perfect though... winning this gift card when heading out to visit Neena and Papaw. but wow, I am just exhausted. Long, long day, and we didn't even do everything I had hoped. And I sunburned my nose. So I guess any posting about the Scout camping last weekend, or swim lessons, or just life in general is going to have to wait. Because I am going to bed. Okay, so the girl near the center is Trina... she loved her free swim lesson. The idea is that you can join the site (did I mention it is free? ), network with other people, and have a means of keeping track of the stuff you own, the stuff you are willing to lend out to other people, the stuff you want to sell, things you want, and more. You can create private communities on Lobster Network, so if you are part of a group -- local or virtual -- you can network with them for things you can lend out or things you'd like to borrow. I have not had nearly enough free time to play on this yet (my username though is footprints -- so if you join, please request me to be your friend!) but I would love to invite the moms in our scout troop to join and become a private group. It would feel great to know that they could ask to borrow my Apologia Botany book (for example) and we would both get a reminder when it was "due" back. I'm also hoping (this weekend?) to start getting some things input on there, not just so I could let friends of mine borrow my stuff, but so I know what I have... and while the process to input things into Lobster Network is easy, well, getting my life organized enough so I can do that is another matter! Disclaimer: As part of the TOS Homeschool Review Crew, I was asked to join this free site and write a review. No compensation was given. As always, I am not going to praise something unless I think it deserves the praise. If I don't like it, you'll hear that. And hopefully with enough detail as to why so you can decide for yourself if what I hate about it makes it perfect for your family. For more about my take on reviews, visit my blog post here. Motor Oil. You wanted to learn about motor oil today, didn't you? Did you know that the average age of cars and light trucks on the roads today has reached 9.4 years? I know we're bringing that average up (our vehicles are 1998-2000) and keeping these older cars running makes taking care of them more important than ever. So I jumped at the chance to offer you the opportunity to learn more about oil, oil changes... and to give one of you a free (or nearly free) oil change at Jiffy Lube. To enter the giveaway, visit Motor Oil Matters and poke around a bit. There is a lot of information, and an interactive quiz (I scored 100%, thank you very much!) and if you come back here and leave a comment telling me either your score on the quiz, or something you learned on the website, you are entered in my giveaway to win a $35 Jiffy Lube gift card. You probably want to live somewhere near a Jiffy Lube, I need to have some way to contact you, and you need to enter by midnight Mountain Time on Monday, May 24. Disclosure: MotorOilMatters.org and Shell Lubricants provided me with the gift card and information through MyBlogSpark. My daughter squealed when we opened the package containing my latest BookSneeze book, God's Promises for Girls by Jack Countryman and Amy Parker. She carried it around with her, and insisted I read the first few sections immediately. I was happy to comply. It's a small book -- roughly 7" by 5" and only 128 pages. Perfect size for Trina to be carrying around, and perfect size for me to not worry about having time enough to read. And thank God for giving them to you! Verses such as Micah 7:7, Job 22:26-27, Acts 10:4 and 2 Thessalonians 3:3 and 3:5 follow, and the illustration has Mom, Dad, Grandma, Grandpa, two kids and a teddy bear around the table praying. My daughter adores this book, and I'm quite pleased as well. Now, THIS is a homeschooling book I can get excited about. Sonya Haskins wrote Homeschooling for the Rest of Us, subtitled "How Your One-of-a-Kind Family Can Make Homeschooling and Real Life Work." Incredible book. Absolutely wonderful. I'm keeping this one on my shelf and referring to it often. What I am used to, unfortunately, is homeschooling books that make me feel inadequate. Beautifully matched children smiling while they sight-read a symphony, with captions about how they all were admitted to Harvard on full-ride scholarships when they were 12. I stare at that, wondering why I can't even manage to get my children into clean clothing. Or at least not all of them on the same day. This book is different. 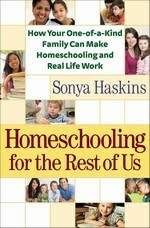 It doesn't tell me that there is one way to homeschool. It doesn't paint a perfect picture. It does talk about dirty houses, miserable days, and just generally reassures me that I don't have to be perfect to homeschool. It is, in fact, for "the rest of us" -- those of us who sometimes have it together, but sometimes don't. I've been a homeschooler since my first child was born just over 13 years ago. In terms of "real" homeschooling, I suppose I've been at it 8 (K-7) or 9 (if you count a year of PreK) years. This is the first book I've read that really left me feeling like I am doing okay. And maybe I'm more insecure than most, but I really need a book that affirms me and my not at all perfect homeschool. I'd recommend this book to anyone. The TOS Crew Mates voted on their favorite products this year, for the Seaworthy Awards. The results were just announced, and I wanted to share those results with you. I linked my reviews of the products (all but two of the winners... one I haven't written yet, one I reviewed a different product). It's been fun going over some of the highlights of the past Crew year. Of course, our family's favorite product didn't make the list... so once I finish up my last four reviews (next week), I'll have to do a wrap-up post of my own! I finally finished Chasing Francis by Ian Morgan Cron. It took me a LONG time to get into it, but somewhere around the 1/3 of the way point, well, I could barely put it down. Basic plot is: Evangelical church planting minister has a major crisis of faith. Calls on his uncle, who happens to be a Franciscan monk over in Italy, and is invited to come on a pilgrimage. Learns lots about St. Francis, but even more about himself. Comes back to his church a different man, and deals with the repercussions of that. The story is semi-biography (of St. Francis of Assisi), but also something of a tour of modern Catholicism, at least as carried out by the Franciscans, through the eyes of an evangelical pastor in need of some major healing and a fresh perspective. It is somewhat of a commentary on the church of today. Somewhat of a recipe for what might be needed for the church to stay relevant in post-modern culture. And at points, it is laugh out loud funny. His description of the Italian nuns boarding a bus... very funny. I'm finding the book to be fascinating. I only knew a little bit about St. Francis before reading this book. And it is a little weird for me to be looking at Catholicism (past and present) through the eyes of an evangelical, since I'm not in either camp myself. I can't identify with all of where Chase is coming from, nor can I identify with the friars. But the story gave me so much to think about. I highly recommend this to, well, pretty much anybody. I found the parallels drawn between our time and the time of Francis to be really interesting. Francis lived at a time when the world was turning upside down, and the Western Church was trying to define itself in this new age. One point being made in the book is that we live in a similar time of change, and the church(es) today is trying to define itself in this new age. I didn't even see the study guide in the back of the book until I was about halfway through. So I will have to come back to the book (after a friend reads it!) and work through the study guide on my second journey through. So, the last couple of weeks have been a little crazy in our house. Connor was trying to actually record community service hours and finish those last pesky requirements for a couple of merit badges. William was trying to finish off a couple of things too. And they both did it. William -- he got the chance to tell about poisonous plants in our area (and I learned that Poison Ivy exists in every state east of the Rockies... except North Dakota. I had no idea that the cold kept plant riff-raff out too!) We made a trip to the post office to lower, raise, lower and fold their flag. I think Sam was quite pleased to not have to go out in the wind to do it! And on Monday night, he had his Scoutmaster conference, and his Board of Review, and he is now a Tenderfoot Scout. I heard that he promised to work on being clean. And I also heard that he knocked one out of the park with his answer about what "on my honor" means. Connor -- he has been seriously procrastinating on interviewing someone so he could "introduce" them (his only remaining requirement for Communications). And he had a couple experiments to do for Environmental Science. He finished both merit badges last week, and finally actually recorded his community service time. As part of the Old Schoolhouse Homeschool Crew, I had the opportunity to review a preschool program called Ideal Curriculum. Literacy: The program teaches letters and sounds, introduces approximately 100 sight words, works on developing motor skills and other writing skills, explores phonemic and phonological awareness, and develops oral language and vocabulary. Included in this program is music and games along with the print-based materials. Math: Ideal Curriculum works on basic math concepts such as the number line, rote counting, one-to-one correspondence, cardinality, adjacent values, an basic shapes and number recognition. The Calendar portion works on various concepts of time. The plans include a weekly math lesson and a weekly calendar lesson. Science/Social Studies: Each unit has a different theme involving science or social studies. Within the theme are included picture books, sequencing stories, vocabulary lists, suggestions for library books to supplement the study, and lots of oral language and vocabulary activities. There are lots of hands-on suggestions in the daily lesson plans. The transportation part was excellent. A pretty lengthy list of books you can look for at the library, which is a huge plus for me. The transportation unit includes a lot of great suggestions for things to talk about with your preschoolers. A statement I saw repeatedly was the reminder that you need to not just do the activity, but discuss it. And to use specific vocabulary. On Day 1, you are discussing wheels and axles. The literacy and science sections include a variety of activities -- electronic picture books, hands-on activities, music, games, and more. The literacy section also includes some great teacher coaching, so you understand a bit more about the concepts you are addressing in the activities. The literacy section especially has a lot of great repetition, which is great for preschool ages. It is pretty clearly laid out, so teacher prep is minimal. The math section. Instead of 20 daily lessons like in the literacy and science sections, the math/calendar section includes two weekly lessons (one math, one calendar). Okay, so I know my kids are not exactly normal when it comes to math. But I was wholly unimpressed with the math concepts being addressed. Maybe it is appropriate for a three year old, but my four year old was way past it, and it was painfully basic for my six year old. So, to keep ragging on the math -- I know math is not considered as important as learning to read, but... really, 10 minutes per week for math? That seems way too light. Since I am homeschooling five kids, and my PreK/K kids are the youngest ones, I just had a very difficult time finding the time to do these activities. We just have so much else going on. Overall, I like the program, but it is not something that would be worth the money for my family right now. When my oldest kids were in the PreK/K range there is a lot that would have been valuable to me though, especially the suggestions for discussion and vocabulary. I could have used more guidance when I was just starting out. For less money, I would be tempted to get this for just Trina, as I know she would really enjoy a lot of the themes. But -- I would absolutely add more for math. Oh! And if you use the code welovekids when you order in May, you will receive 10% off. Disclaimer: As part of the TOS Homeschool Review Crew, I did receive the transportation unit (month 1) for free from the publisher. The fact that I received a complimentary product does not guarantee a favorable review. It does guarantee a review. A fair review. But I am not going to praise something unless I think it deserves the praise. If I don't like it, you'll hear that. And hopefully with enough detail as to why so you can decide for yourself if what I hate about it makes it perfect for your family. For more about my take on reviews, visit my blog post here. The TOS Review Crew is voting on Crew Awards... one of the categories has to do with the kids favorite product. I called my kids in to discuss what the Brinkman clan was going to choose for that category, intending to read through everything we've reviewed this year and then chat a bit. Richard, my six year old, immediately tells me that he doesn't need to hear the list. His favorite product is Madsen Method. So I promised him we would pick that up and just he & I would be working on it. In discussion, Maestro Classics ended up being our vote. I posted a couple days ago about the Madsen Method, at least enough to describe what it is and my initial reactions. I've been procrastinating about trying to write up how it worked for us. If you didn't read my original post, I'd encourage you to go check it out before you read this one. First, this was a product that we had to "opt in" to review. That involved some wonderful conversations with Joe Madsen. He patiently explained the overall philosophy of the program and talked about ways I could implement the program with my gang. I cannot say enough positive things about the customer service. Anyway, after a lot of back and forth, I committed to working with The Madsen Method with my children and writing about our experiences. I was pretty overwhelmed with the package when it arrived. There is a LOT of material. And it arrived when we were on our break between school years. I spent more time on the phone with Joe Madsen trying to figure out how this whole thing worked. And we geared up to start in January. The first section is teaching the basic methodology. A big part of that is learning how to go into the "Learning Position" and they need to be able to say it so that they can do it. So our first hang-up with the Madsen Method was that we couldn't find anywhere to work where my kids could get into the learning position. Basically, we have the living room couches, where we do 95% of our schoolwork, and we have the dining room table. So we spent some time trying to figure out a way to make "the learning position" work, and finally revised the script and moved on. Of course, that was the point that everyone started taking turns being sick. For six weeks. In retrospect, I should have just worked with whoever was functioning, and let others catch up. At least when it wasn't Richard (the 5 -- now 6 -- year old) who was sick. We finished up Section 1 though, and there were some really great things about that. But I really struggled with the sheer quantity of words used in the teacher materials. And my kids started complaining. Especially the older two (11 and nearly 13). And honestly, reading the report cards at the end of the section, and that I was supposed to not only fill out a report card about how I did in exactly following everything in the manual to the letter but also I was to mail it in... well, ummm, I don't know how to phrase this. But one reason I homeschool is because I don't exactly like exactly following what other people think I should do. The report card was really the point where I started to get frustrated. I really want the freedom to tweak, condense, or even skip... and I don't feel like I can do that with Madsen. And did I mention that my older kids were really starting to complain? So we moved on to Section 2. This is where you do actually start taking a pencil to paper and you learn to make lines and circles or parts of circles. This temporarily stopped the complaints. 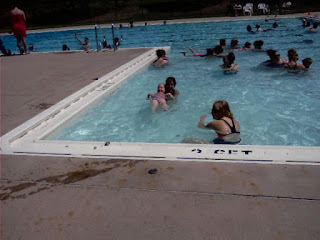 And I was really liking some of what I was starting to see with my kids. Just getting the point that every letter needs to touch the base line and the middle dotted line, and that they do NOT touch the top line and the lower dotted line... well, that made an immediate difference in my kids' handwriting. Moving at the pace of my now 6 year old was agonizingly slow for my older group. So they once again started to rebel. Somewhere around the 17th kind of short line they were back to wanting to completely give it up. We kept going, and I do see the benefits. But it just moves too slow for my older kids, and their attitude is horrible now. Around the start of the 3rd section (where you learn to draw numbers), I called my mother. I needed someone to listen to what we were doing and tell me to buck up and finish what I committed to. But as I was explaining to her that the kids groan when I pull this out, and I end up yelling at them every single session because I am just so beyond frustrated with their lousy attitude -- well, it occurred to me that we are not accomplishing anything at this point. And I put it away. I feel guilty. Because as I look at the last section of this first level, I really can see why it is that we are going through all this laying the foundation work, and I love what is happening there. But I cannot get my kids through the foundation part. At least not the big ones. So after saying all of that... I am seriously considering working with Thomas starting in August and working through this with him, one on one. I think without the griping of his big brothers, he would benefit greatly from the methods used in this program. I think in January, when Richard and Trina are nearly 7 and nearly 5, we will pull it out and start them together. Because I think this program has some amazing potential when used from a younger age. But as for me and my house, I simply cannot get my normally compliant older children to click with Madsen. Disclaimer: As part of the TOS Homeschool Review Crew, I did receive Part One of the Madsen Method for free from the publisher. The fact that I received a complimentary product does not guarantee a favorable review. It does guarantee a review. A fair review. But I am not going to praise something unless I think it deserves the praise. If I don't like it, you'll hear that. And hopefully with enough detail as to why so you can decide for yourself if what I hate about it makes it perfect for your family. For more about my take on reviews, visit my blog post here. Oh, I'm so excited! It's too late to sign up for Schoolhouse Expo, though you can still get the mp3 version (with freebies, and I think it is going to be well worth it!). Susan Wise Bauer is speaking in a couple of minutes. But I wanted to tell you about something fun regardless of whether you are signed up... the Vendor Hall. It's free for everyone. And WOW!! There are a bunch of companies I've never heard of (Taylor University, Better Chinese, Steps4Kids, MrMadison.org) and a lot I do know and love (Apologia, Rainbow Resources, Science Jim). Some of the vendors have freebies (Spears Art Studio, Latin Road/Phonics Road, Real Science 4 Kids, among others). This is the final Blog Cruise topic of the school year, and that really makes me sad. I can't believe this year is winding to a close. But today's question is an important one: How do you help your child if he is struggling to learn? There are so many directions I could go with this question. I've composed a few blog entries in my mind, but none seemed quite right. I'm not an expert. I may play one in my family drama, but I am not really an expert even with my own kids. Many of you know that my second son, William, is dyslexic. Very definitely dyslexic. And while this could be a post on how to teach a dyslexic child, I don't think that is where I'm going. Pray. Pray for your child. Don't be afraid of labels. You don't necessarily need expensive tests -- sometimes you can do your own research. Having a "dyslexia" label on William really was the turning point. I was able to read what others have experienced, and get a glimpse of how he sees the world. And figure out some ways to get through to him. He has made SO much progress in the last year and a half. I wish I had been more open to investigating what was really going on far earlier than I was. Don't be limited by labels. 'Dyslexia' does not define my son. 'Struggling reader' does not define him either. He is so much more than that, and it is so very easy to lose sight of that. Get creative. Don't limit what your child can learn based on what he can't do. In my case, it is the reading (and writing) that is difficult. So I get a lot of audio books. I do a lot of reading aloud. I try to find math programs that don't require him to do a lot of reading. He may be starting VideoText Algebra in the fall (6th grade). I refuse to hold him back in math, science, history or whatever based on his difficulties in reading a story problem or a text. Along those lines, don't get so focused on shoring up your child's weaknesses that you forget to let him bloom in his strengths. That goes for struggling learners and non-struggling ones too. Let them soar where they can, but work on their weaknesses too. Teach coping strategies. My oldest struggles with spelling. So, yes, I am teaching spelling, and probably will all through high school. But I'm also teaching him about using a spell-check program. Reality is that much of what he will write in the future will involve computers. So, let's learn the ins and outs of spell-check. What types of errors won't it catch? Pray. Pray for your child's teacher. Find someone you can express your concerns to and not worry that she will think less of you or your kids. And express your fears, struggles, challenges and joys. Being able to verbalize what is going on may help you to see it more clearly. Get your child out of situations that cause emotional turmoil. One reason I homeschool is so my children don't have to deal with the constant pressure of bullies, and of kids who pick on anyone they see as "slow" in whatever way. Life is too short to put up with people who make a sport out of belittling anyone. Don't try to keep up with the Jones's. Measure that struggling learner against himself -- not against siblings, local school kids, or members of the nearest co-op. Is he progressing? That's all folks... I'm falling asleep while typing. But those... those are my thoughts. I'll link up to the Blog Cruise tomorrow. I can't do more tonight. The TOS Crew Blog is sponsoring a question of the week every Tuesday. Watch for what my Crew Mates have to say about struggling readers tomor today! Madsen Method. I had never heard of it prior to seeing it on the vendor list for the TOS Review Crew last summer sometime. So what is it? English for Life is its "other" name... and that sums it up... basically, it is intended to be an entire K-12 language arts program. Coming in four parts, it is everything you need except paper and pencil, and you can work through all of "language arts" in 6-8 years. Section 4: learning sounds and writing for the circle letter phonograms, along with reading, vocabulary, writing, etc. Section 5: learning sounds and writing for the remainder of the alphabet, including reading, writing, vocabulary, etc. The teaching books. Five of them. The first book is for sections 1-3. The second book is section 4. Section 5 is split into three books. Part One builds the foundation for what is to come. Part Two continues to build that foundation, introducing the rest of the English phonograms. The child is learning rules for which phonogram to choose when there are multiple ways of spelling a sound. (Like long a -- how many ways can you come up with to spell that sound? There are lots.) The child is learning lots of writing skills as well, both from dictation and then independently. Part Three teaches cursive writing, more advanced grammar, Greek and Latin roots, and lots and lots of writing -- letters, poems, short stories, etc. Part Four will teach intensive grammar, more writing practice, report writing, and lots more. I look at Parts Three and Four, and I want to get there. I understand that I need to build the foundation first, which is why I am using Part One (which is intended to be a complete K-1 Language Arts program, or a remedial program for older children) with even my 7th grader. Why did I want to use this program? A big part of it is that William struggles so much with language arts, and this really seemed like something that would walk him through things in a step-by-step way, truly building a base of knowledge. A big emphasis of the Madsen Method is that the learner is to SAY and do, so they are HEARing their voice explaining the concept, and they will finally SEE their own work. The emphasis is not on seeing the material and copying it. It is on learning to tell yourself what to do. I think this is going to make a huge difference for William especially, but for the rest of my kids too. Connor, too, needs help in language arts. None of my children write terribly well (I'm talking the physical act of writing out the letters AND the ability to create a coherent sentence, paragraph, or report on paper). My children all struggle with spelling. For everyone, I think going through something systematic will be a very good thing. What concerns me? Well, I am always leery of any program that claims to be THEE way of doing/learning/teaching pretty much anything, or that claims to work for everyone. Honestly, that is my biggest concern. Another thing is that at the end of each section, you are supposed to send a "teacher report card" in to the Madsen's. I printed off the first one, but have not been able to bring myself to fill it out just yet. I know that the Madsen's are asking for this because they want to be able to help me and my kids, but I don't like the idea of it at all. I can't explain it, but it rubs me the wrong way. ...the idea of spending this much time on information that my kids already basically know. I'm thinking of Connor specifically here. Working with him on how to hold a pencil, or what the 'reading direction' is doesn't exactly seem like a good use of his time -- time he could be spending on his Latin or Biology homework. So I'm trying to figure out how to make this work in my home. Do I do Madsen multiple times a day, working with different groups of kids? I could work with just Connor, and move pretty quickly. William and Thomas could move at a decent clip, but slower than Connor. And I could either move at a fairly slow pace with Richard, or wait a while and work with both Richard and Trina in the fall. Or do I continue to move at a pace where I wait for everyone to master the material before moving on? I don't know... I know that if I could get Connor working at his own pace, I'd be more comfortable with what he is getting out of his time investment. But I know I won't be able to purchase Level 2 anytime soon. What a dilemma! Any questions? I'd love input as I try to write more about this program this week (see here). 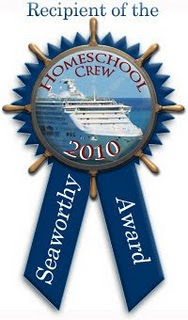 And you can read what other crew members thought at the TOS Homeschool Crew blog.